Although the name suggests these are designed exclusively for portrait photographers, these suites are suitable for both wedding and portrait photographers. 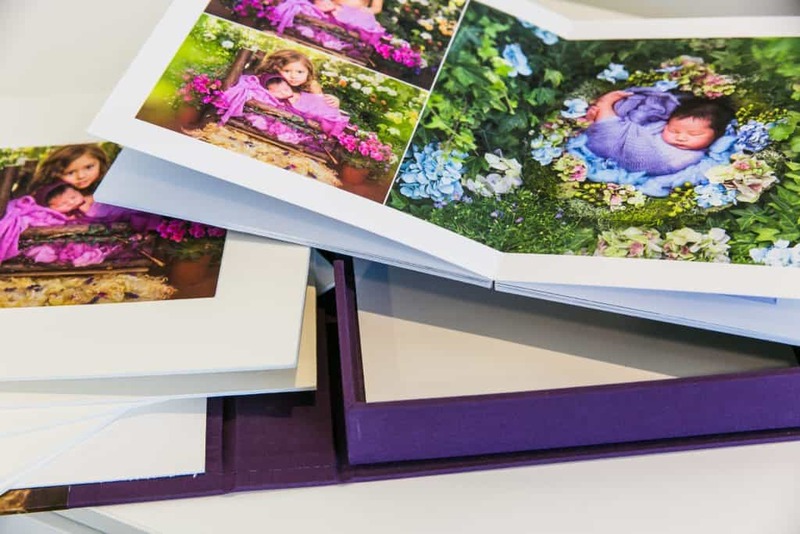 It’s the perfect product for engagement shoots, family portraits, newborn photography, maternity shoots… the list is endless! 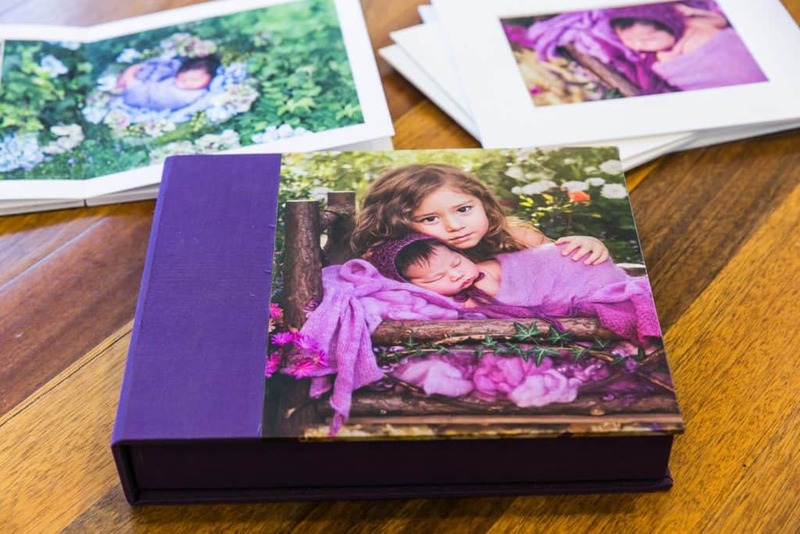 Consisting of 5 matted prints, a 10 spread bambino album and gorgeous custom box, the Portrait Suite Collection will be a talking point once on display in your client’s home. Handmade in Brisbane by our highly skilled team, each portrait suit is carefully constructed ready for you to present to your client. The bambino album and matted prints are printed on 235gsm archival art papers imported from the United States (using genuine Canon pigment inks). To create the block we use a specialised adhesive that we have used for decades and know stands the test of time. Many low cost albums use PVA glue or other cheap adhesives that risk delaminating in the long term. Box Embossing, name or logo	 Uncoated Cloth, Coated Cloth, Leather Look. Art Mounts x 5 14x11 Outer – 12x8 inner, 14x11 outer – 10x7 inner, 10x8 outer – 8x6 inner, 10x8 outer – 7x5 inner. The Portrait Suite is a collection product. We ask that you provide 5 images for the matted prints. If you are doing your own design you should also provide a file transfer link to 10 full spreads (e.g. 10 images) for your Bambino Albums. If we are doing your design we recommend providing a link to 20-30 images. Can I change the size of the album in the Portrait Suite? Our Portrait Suite is a “collection” product that includes a beautiful box and matted prints. This means that we need to limit the size of the album to match the other products in the collection. 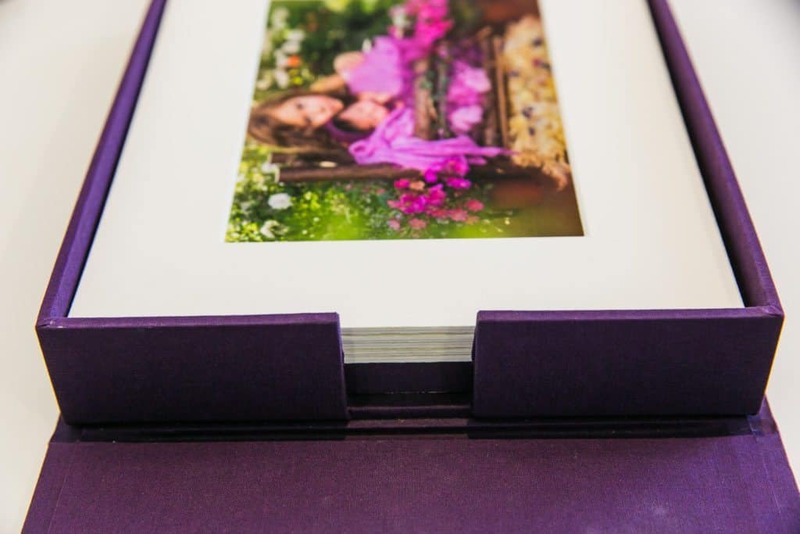 The 8″ x 10″ Portrait Suite ships with an 8″ x 10″ Bambino Album. The 11″ x 14″ Portrait Suite ships with an 8″ x 12″ album.